Throughout Metro Detroit, on almost every night of the year, you’ll find ComePlayDetroiters involved with something that they love. From kickball to basketball and dodgeball to Pilates and Yoga, CPD gives its participants an opportunity to let loose at least one hour a week, ten weeks a season, four seasons a year with more than 20 different sports and activities. ComePlayDetroiters are males and females ranging from ages 21-40. All leagues are sponsored by local businesses. 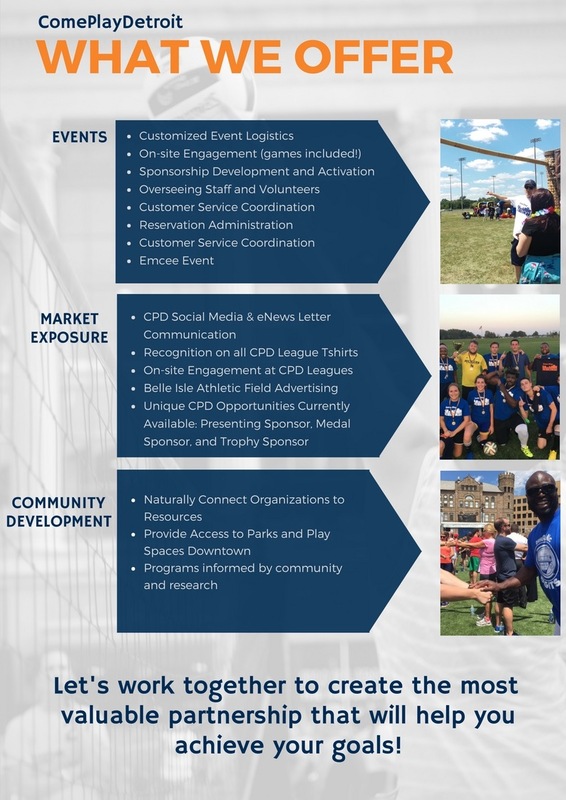 CPD provides companies with a unique avenue to build their brand amongst this demographic, and most importantly the sponsorships help substantially reduce the cost to play to price-sensitive young adults. Although we do offer cookie-cutter sponsorship opportunities, we prefer to work with companies to best understand their needs, and to create a sponsorship package that achieves their goals. 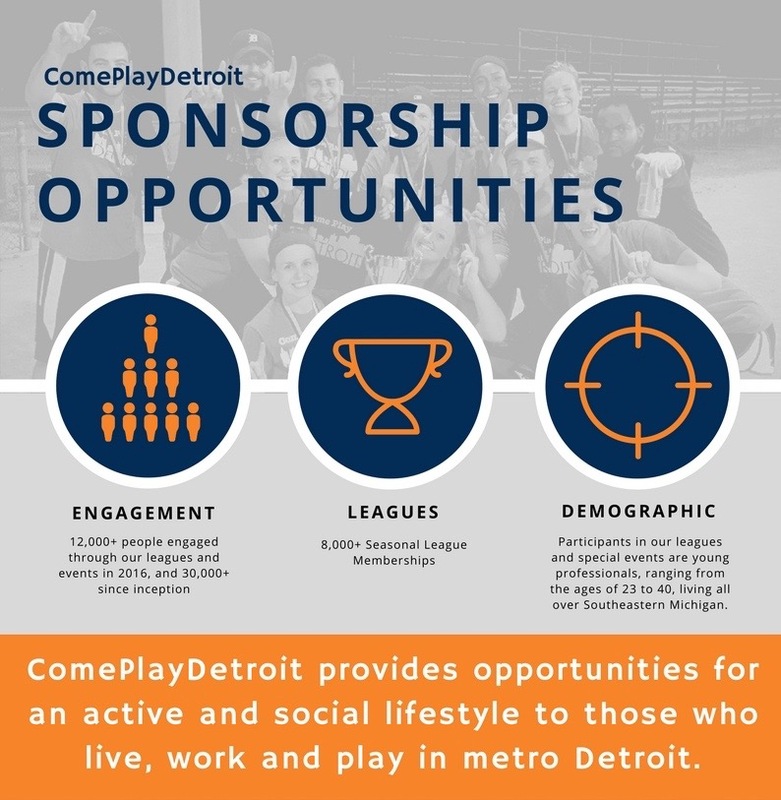 Contact us for a Sponsorship Opportunity at ContactUs@ComePlayDetroit.com, or call us at 248.845.8273!